Good base for families visiting Canberra, or for a work trip with business in the parliamentary triangle. Locations are great, just few minutes to the center. Swimming Pool are cool but unfortunately we didn't have time to spend. Facilities are quite good enough. Rooms are very nice. The whole apartment was quiet and clean with enough appliances. The swimming pool is a good place for little kids. We loved the location, it was close to Manuka Oval where we were watching the cricket. Great position and well appointed. Enjoyed the Nespresso machine. 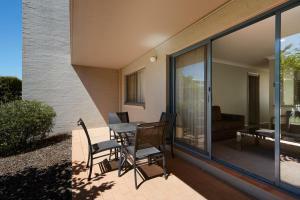 Location is great, size of apartment of 4-bedrooms unusual in Canberra and we were grateful for that. The apartment was very family friendly and we all felt like we are in home and not much shocking. Very close to Canberra City centre and the apartment utensils were sufficient to stay happily. On arrival there was a water trickle in the bathroom which made it a slip hazard plus needed a towel there all the time to soak it up. We went to make up the night and day bed and moved the cushions and noticed a dark spot like chocolate on the cushion and several dark stains on the carpet. Not a good look. Went to make some toast in the kitchen and the bread knife was missing. Lock in a great price for Pinnacle Apartments – rated 8.4 by recent guests! 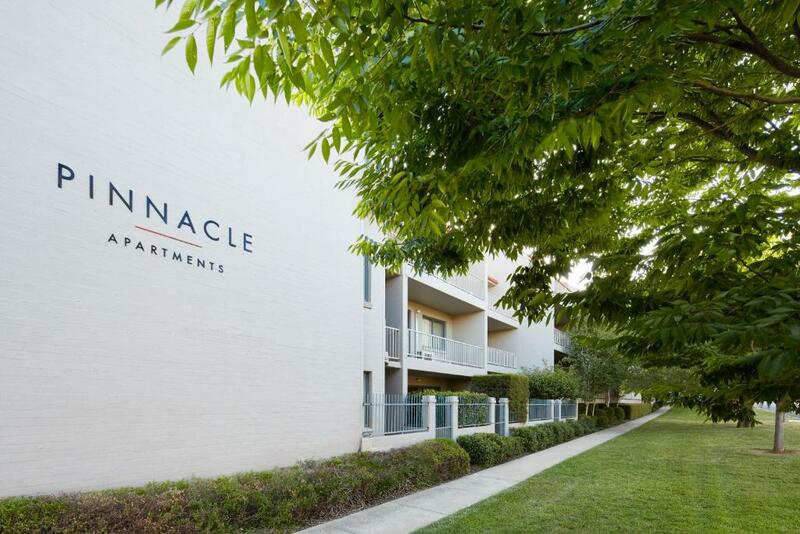 Pinnacle Apartments This rating is a reflection of how the property compares to the industry standard when it comes to price, facilities and services available. It's based on a self-evaluation by the property. Use this rating to help choose your stay! 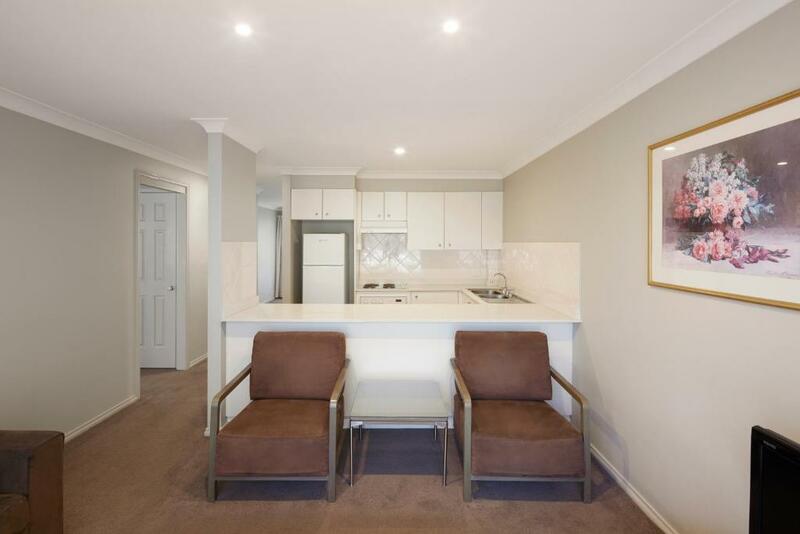 One of our top picks in Canberra.Just 1.7 mi from Central Canberra, Pinnacle Apartments offer self-contained units with a full kitchen, a private balcony and a lounge/dining area. The property has an outdoor swimming pool, a fitness center and barbecue facilities. Free parking and free WiFi is available. Canberra Pinnacle is 1.9 mi from Australia National Museum and the National Gallery of Australia. It is 2.1 mi from Questacon and 1.7 mi from the Parliament House. Canberra International Airport is 5.6 mi away. When would you like to stay at Pinnacle Apartments? 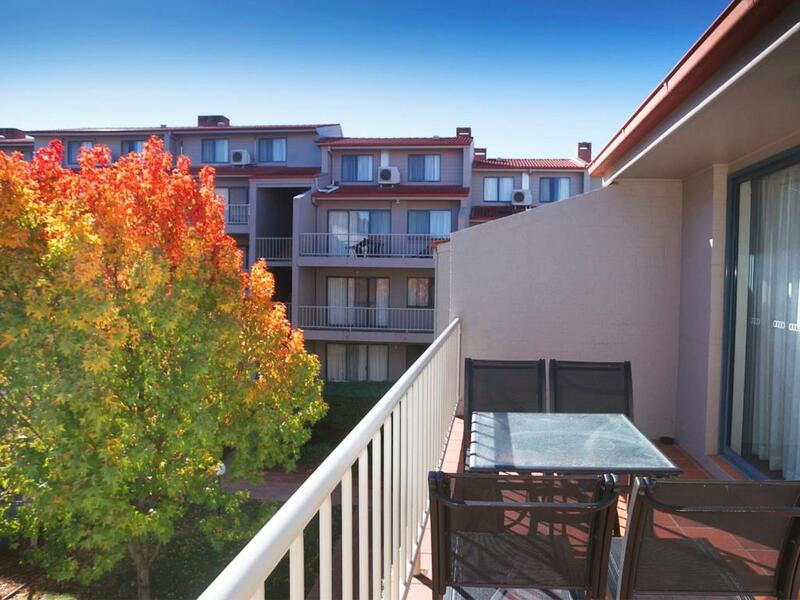 This apartment has a full kitchen, 2 bathrooms, a private balcony with outdoor seating, and a lounge/dining area. Please note that the rate is based on 8 guests. Maximum occupancy is 9 guests (see Hotel Policies). All Three & Four-Bedroom Apartments are on the top floor. The property does not have an elevator. All Three & Four-Bedroom Apartments also have stairs inside the apartments. This renovated apartment offers a fully self-contained kitchen featuring a Nespresso coffee machine. The bathroom offers a walk-in shower and there is a separate toilet. Some apartments are located on the ground floor. This apartment has a dining area, kitchen and washing machine. 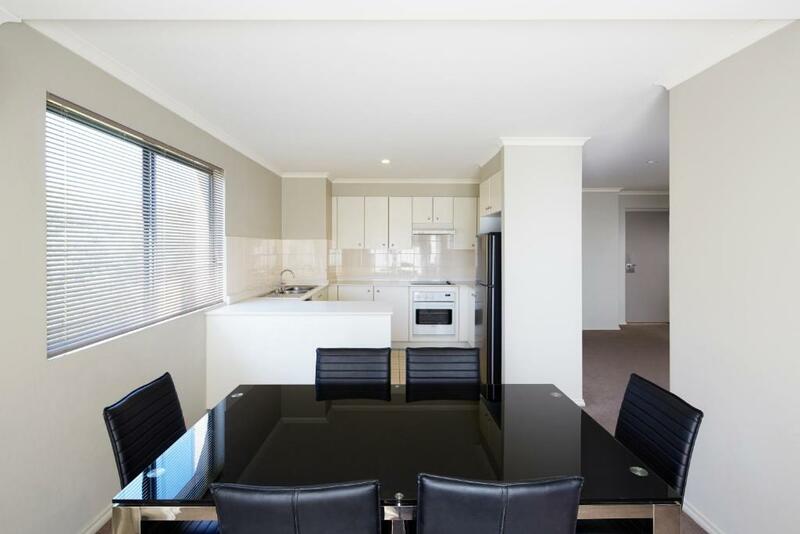 The Pinnacle Apartments offer a mix of one, two, three and four bedroom fully serviced apartments, found nestled in a tree-lined Kingston street. All of the 3 & 4 bedroom apartments are located on the 2nd floor of the property and are 2 storey inside. Please note that we do not have lifts. The Pinnacle Apartments offer security and relaxation in the heart of Australia’s capital. This is a perfect retreat for those travelling to Canberra on business with the convenience of being so close to the commercial hubs of Barton, Parliament House and the Russell Offices. The moment you open the front door and step inside your apartment, you will discover the naturally lit living area. 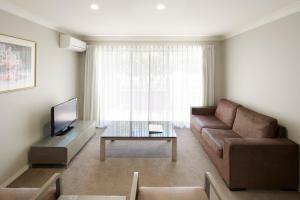 Serviced daily, each apartment comprises oversized living areas and balconies. 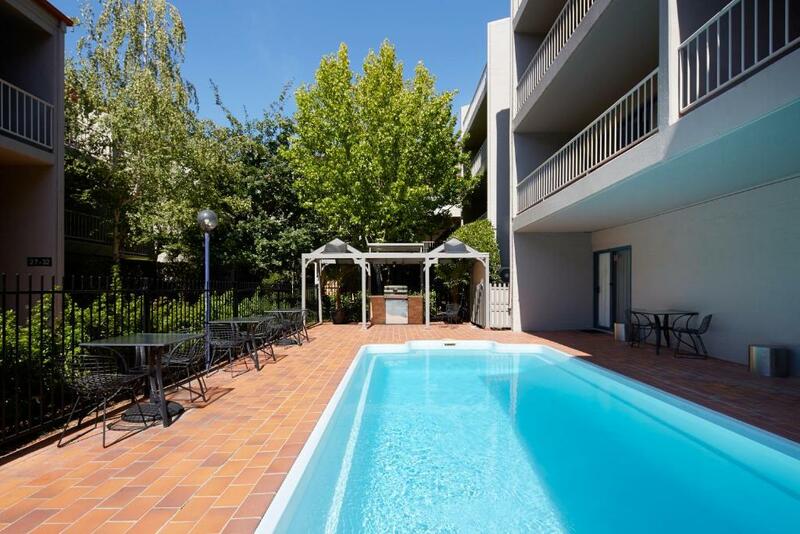 Guests have access to a gym, outdoor pool, BBQ area and complimentary WiFi. Please note that although we try our hardest to meet your requests, bedding configuration is not guaranteed. The leafy suburb of Kingston is reminiscent of a European village; by day cafes are filled with passers by and at night the energy is oozing out of chic bars and restaurants. At the Pinnacle Apartments, we offer security and relaxation in the heart of Australia’s capital. This is a perfect retreat for those travelling to Canberra on business with the convenience of being so close to the commercial hubs of Barton, Parliament House and the Russell Offices. House Rules Pinnacle Apartments takes special requests – add in the next step! Pinnacle Apartments accepts these cards and reserves the right to temporarily hold an amount prior to arrival. Please note that there is a 1% charge when you pay with a credit card, including American Express or Diners Club credit card. Please note that the property only has stairs. The property does not have an elevator. Please note that this hotel has a strict "No Party Policy". Any violation of this policy will result in eviction from the property and additional cleaning fees will be charged. Sheets on the bed were undersize. Street noise in bedrooms was disappointing. The unit was a good size, bathroom was good, the kitchen was good. 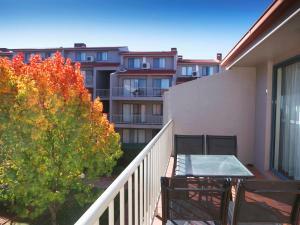 Central location, quiet area, spacious and clean apartment and very helpful staff. The apartment had a smell indicating need of refreshing clean...a good disinfectant in kitchen and bathroom and carpet freshening. The position of the Pinnacle is excellent for access to Art Gallery etc, and Kingston eating places. Clean, comfortable and convenient! Great place to stay. 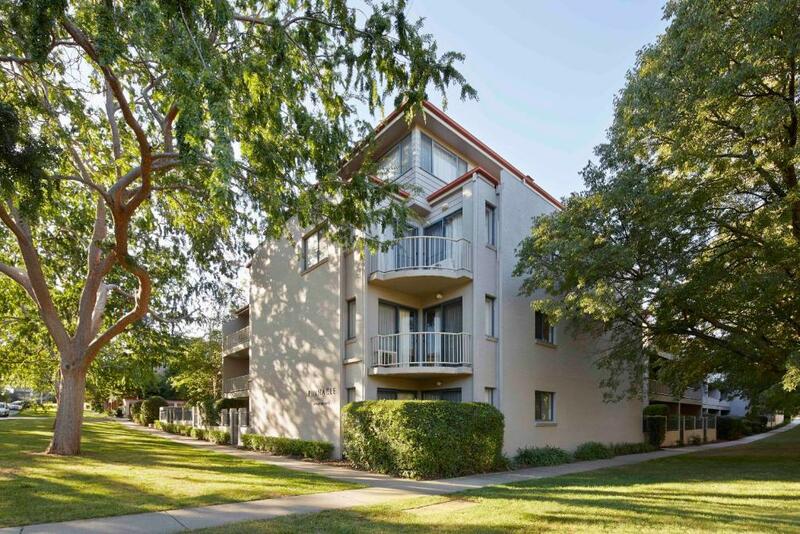 Unit was spacious, comfortable and clean with all amenities including soap and shampoo and free security parking on the premises. On top of all this the complex is in a very handy position, just two short blocks from the shops and last but by no means least all the staff we encountered were friendly and helpful. Oh yes, and value for money excellent.. Size of room, free undercover parking, towels changed, location was perfect for our trip. The lounge was a sofa bed which we didn't use it as a bed, but to sit on to watch telly as a lounge it was not comfortable because of a support bar for the bed function right under your knees and thin seat cushions which were angled to the centre making two people seated very crooked. Everything else about the apartment was great; we especially appreciated our request for a ground floor apartment being fulfilled, as my aging parents cannot cope with stairs as easily these days. The apartment was very spacious so we were not sitting 3 adults on top of each other in the shared spaces, as experienced elsewhere in a hotel setting. 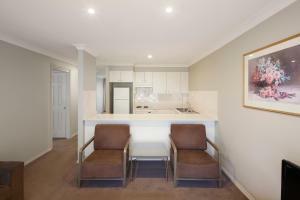 Full size kitchen and internal laundry great for longer stays with family. Spacious bathroom and shower recess made it easy for less mobile to get in and out of, no stepping up into a bathtub; but our apartment had no bath so may not be useful for a young family if that is required. Separate toilet too, so no one caught short waiting for bathroom to be free! Beds very comfortable and plenty of bedding /blanket options for variable temperatures. Fresh towels each day, although that may have been a fluke with our stay dates overlapping the set 2 laundry days of the premises for the longer stay arrangements. Reception staff very helpful and communication post booking but pre arriving also helpful, with a welcome text and warning about gps setting for the address may not be right for some cars so please ring if you need help with directions, and supplying phone number for quick reference. Also an email acknowledging my request for ground floor apartment at time of booking received, with message stating they will try very hard to accommodate this request. Location of apartments is quite central to Capital Hill if you count that as centre of Canberra, and very close to the NGV (and other places of interest) which was one of 2 reasons for our visit. The little extras, like washing powder and nice toiletries were and great touch on an already well set up apartment for families. The kitchen was well equipped and the apartment was comfortable and clean. The location, parking, size and comfort of the rooms was excellent.